Join us for a free matinee for adults and teens. 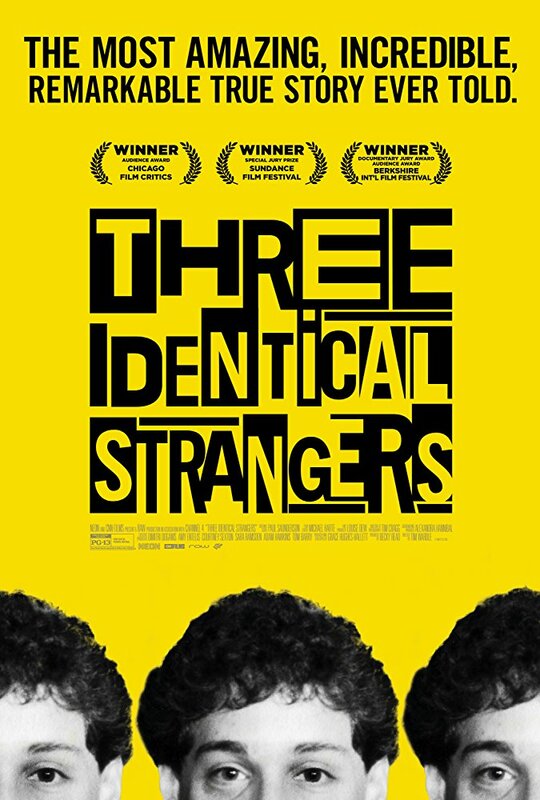 We will be watching Three Identical Strangers which is a documentary. In 1980 New York, three young men who were all adopted meet each other and find out they're triplets who were seperated at birth. Then they discover why.